Welcome to the home of industrial narrow gauge railways. This web site has been built to record information regarding current industrial and commercial narrow gauge railways operating throughout Europe. 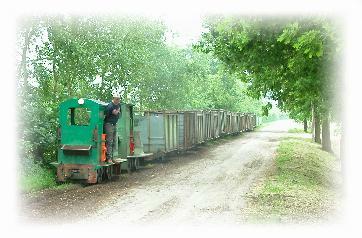 The type of railways covered can vary from a small hand worked line with a single wagon, to the large freight and passenger carrying networks still operated in countries such as Austria, Spain, and Poland. The site does not concern itself with pleasure lines or museum operations. There are many other web sites with this information, some of which are shown in the links pages. In this site you will find news regarding these railways. This is provided by site visits and from reports in the media. All visitors to the site are welcome to contribute to the news pages. Videos and DVDs of these fast disappearing railways have been produced for many years and details of the current releases are shown elsewhere. If you wish to see what others have written about the videos and DVDs click here. More small ads updated and all the railways featured for Croatia, Czech Rep, and Denmark have now been updated and refreshed and the photos rescanned where possible. The site is normally updated approx every 4 weeks or more frequently for small ads. March 2019: More small ads included for a number of items, and all the railways featured for Austria, Belgium, and Bosnia have now been updated and refreshed. March 2019: A few more changes to the adverts this month, with extra skips and rail for sale. Plus further photos brought up to date, this time starting with Austria, for Pflegeheim Lainz. February 2019: Just a few changes to the adverts this month, with a couple of locos and rail for sale. January 2019: Welcome to the frst update of 2019. All the Railway pages for England have now been rescanned where possible and updated. There are also a few items of News. December: More of the older non-digital railway photographs on the old style web pages have been refreshed, with most railways displayed under England now updated. More will be done each month until these are all up to date. October: More of the older non-digital photographs, taken as far back as the 1990's have been rescanned and uploaded. This process has started with the railways under England, and Metcalf's and Nuttalls, have now been refreshed. There have been recent updates to the small ads. August 2018: In the Railways section of the website, the older photographs which had been taken as far back as the 1990's were uploaded as very small pictures due to the limitations on web space back then. Now no such limitations exist, all the old photos are being rescanned and added to improved web pages. This process has started with the railways under England, and Hatfield, Honister, and Berwick Drift, has so far all been updated. Details of the Springfield Agricultural Railway have now been included on this site. click here to learn more about this railway. The web pages include details on the construction, rolling stock, operation, and regular updates about the line. Have you any narrow gauge railway video footage that is collecting dust on a shelf somewhere? If you have, why not give other people the change to see it, and consider letting us edit and release the footage for you? In line with the scope of the website we would be interested in any industrial ng subjects, or freight based operations from larger ng lines. Depending on the length and the quality of video available, we could even consider a small payment for the use of it. It could be included on a release with similar subject matter, or maybe even released as a full DVD in its own right. Drop us an email and let us know what you have. All the productions are now available to be purchased online via the secure and simple PAYPAL order process. Just select the video/DVD of your choice and follow the onscreen instructions. The PAYPAL process can be used for those people with or without PAYPAL accounts. For further information on PAYPAL click here. Hundreds of orders have now been successfully processed using Paypal. If you wish to see some feedback from customers who have used this service please click here. 900mm Gauge on R�hlermoor: This DVD provides a facinating insight into an area seen as a strategic energy site for Germany, with trains from the iol, and gas and peat industies al operating on the same network. This is probably the largest and most intensively worked industrial narrow gauge site in Germany today. Klasmann: Operations of the Klasmann-Deilmann railway still operating in Germany today, mostly filmed in 2106, plus archive footage from up to 20 years ago. 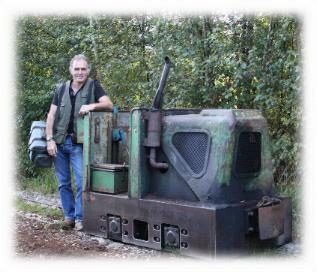 Industrial Narrow Gauge Survivors: An interesting cross section of real industrial narrow gauge railways still working across Europe. Steam on the Rack in Austria: Using footage from the 1990s as well as from 2015, all three of the metre gauge rack railways surviving in Austria are featured with nearly all the original steam locos seen during the course of the production. Bolton Fell; The end of an Era: A release looking at the last traditionally regularly worked narrow gauge railway in England that closed in June this year. The video footage includes many of the Motor Rail locos that used to work on this site, compiled from several visits over they years including the final dismantling of the line.